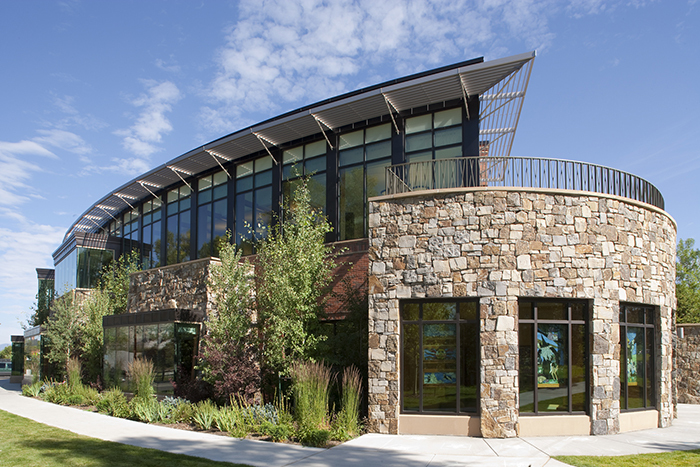 Previously confined to a 10,000 square foot chalet-style building, the Steamboat Springs Library tripled in size with this new 22,000 square foot, two-story addition. A curved geometry, clerestory windows, and more than a dozen levels inform the structural design, which consists mainly of structural steel with composite framing. Renovation of the existing structure involved removing a mezzanine and replacing the north and south curtain walls. The design includes a narrow 18 foot long structure that links the old and new buildings. Sustainable features, such as daylighting, local materials, and roof-mounted solar panels, helped attain LEED Silver certification for this project.